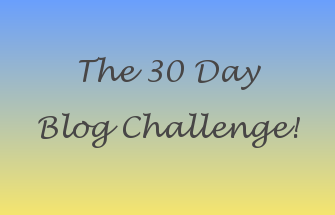 Hello and welcome to day 20 of The 30 Day Blog Challenge and today I am talking about something I am struggling with. Well at this present time I am struggling to find some bloody buggery shorts that actually fit to wear in this lovely warm weather!! I have several pairs of longer shorts that I bought of ebay but I am not that keen on them and I keep thinking my legs aren't that bad I fancy some shorter shorts- not hotpants I don't need my bum cheeks on show but something that is mid thigh length. I have been scouring ebay and I thought I found the perfect pair from Dotty P's they arrived yesterday and no didn't fit too tight around my waist- bugger! I tried some on in Peacocks but they just looked odd across the tummy as they were pleated and ended up making my stomach look 10 times bigger! Just to add insult to injury everywhere I turn there is someone in a lovely pair of shorts- arrgh!!!!!! 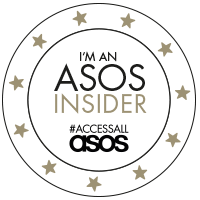 I have one pair which have been recently featured on the blog which are short denim ones from New Look and as much as I love them the damn things make me too hot as they are too close fitting if that makes sense!!! - I am such a fussy madam no wonder I can't find any! So how I am dealing with this situation the only way I know how and that is to continue to stare at my PC hoping that a pair of shorts will magically appear on ebay that are just the pair I want!! Until then I shall continue on in my quest! PS If anyone can please recommend some nice comfy shorts - even jersey ones I will love you forever!! Don't forget to check out the other ladies to see what their struggles are.